The 14th edition of this esteemed conference takes place December 5-6 and will bring together international experts, tech professionals, and enthusiasts for two days of technical and industry-focused talks on five tracks. Toptal is pleased to have two speakers participating this year: Josip Šaban and Ivan Čuljak. December 6 at 9:00am, Josip will present a talk titled The black art of software estimation. Do you really know how to create an estimate — a good one? It’s not what you think. Josip will share his extensive experience and teach you how to create better estimates for yourself and for your clients. Also on the 6th at 3:00pm, Ivan will deliver a talk titled Making the Internet polite <3. 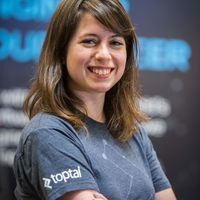 This talk will tackle the difficult problem of monitoring user-created content, and will present a solution using Azure and Cognitive Services to enable automated analysis of text, images and videos in multiple languages. For more information and conference tickets, please see the event website.